By Rachel Held Evans, on March 13, 2015. "You would have to be made of stone to not be moved by President Obama's address on the 50th anniversary of the march on Selma last Saturday. 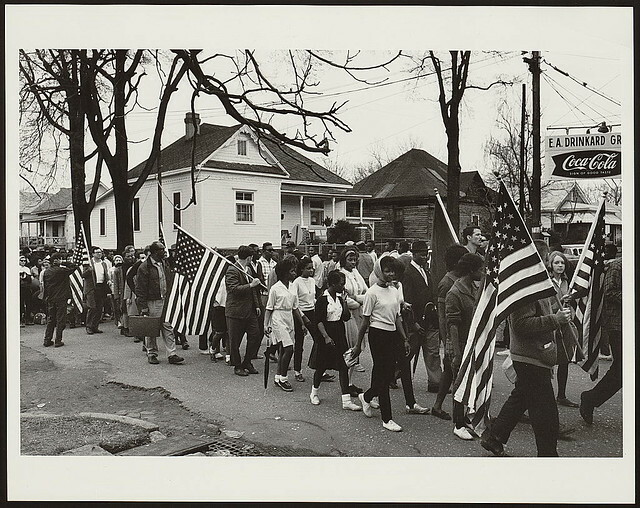 His tribute to the "plain and humble people...coming together to shape their country's course" was poetic and principled, timely and true -- a fitting way to honor those who marched in support of voting rights in 1965. "What greater expression of faith in the American experiment than this, what greater form of patriotism is there than the belief that America is not yet finished, that we are strong enough to be self-critical, that each successive generation can look upon our imperfections and decide that it is in our power to remake this nation to more closely align with our highest ideals?" The President has faced criticism in recent months for acknowledging that American history, and indeed Christian history, includes racism, violence, injustice, and oppression -- particularly against minority and indigenous people -- a reality some would rather sweep under the rug. Former New York City Mayor Rudy Giuliani went so far as to say the President doesn't love America because he "apologizes" for it so often. It is common for those invested in preserving the status quo to try and silence those working for reform by suggesting that allegiance to a country or family or faith demands total acquiescence, that you can't love something and be critical of it at the same time. This happens not only in politics, but also in religion…"
Searching for Sunday Excerpt: "Table"